Take a Network Break! On today’s show we speculate on trends we expect to see over the coming year including brand erosion, perimeter-less security, and increasing pressure on IT managers. We analyze two industry reports on IT infrastructure spending. Is spending up on infrastructure or public cloud? Or maybe both? 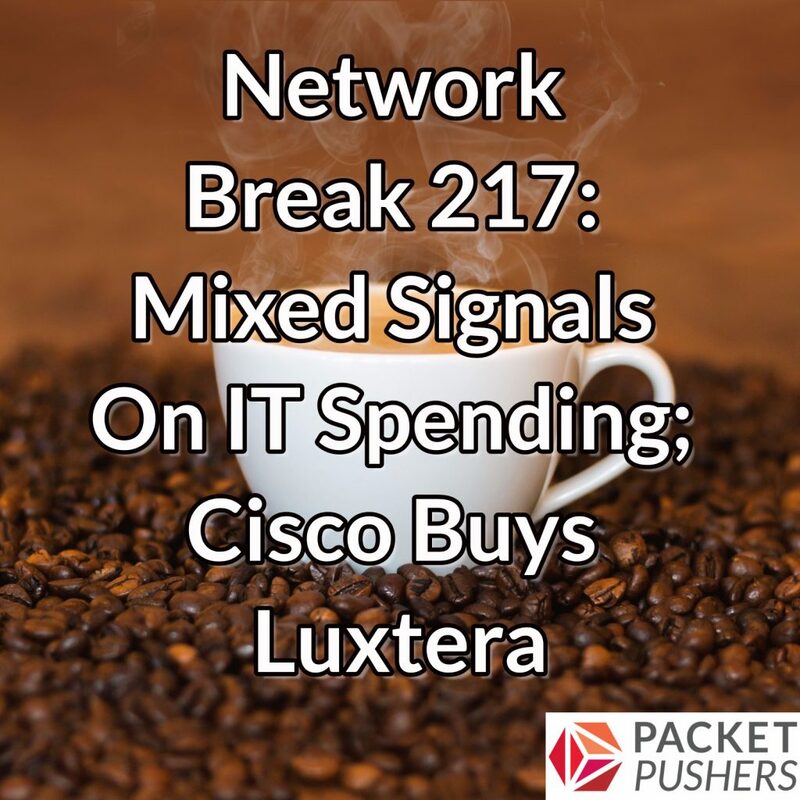 We also discuss a customer win for Apstra and what it might mean for Intent-Based Networking as a tech category, look at how US telecom companies are letting their copper infrastructure degrade, and review the latest critical vulnerability from Cisco. Ericsson faces continued fallout from a major outage linked to an expired certificate, and Cisco makes its acquisition of silicon photonics maker Luxtera official. Last but not least, we detect hints of a consumer backlash against Internet-connected gadgets harvesting personal information. VIAVI Solutions focuses on end-user experience, providing products that optimize performance and speed problem resolution. Ensuring delivery of critical applications for businesses worldwide, Viavi helps network teams manage new initiatives and daily operations, mitigate performance and security risks and solve performance issues and security problems. Learn more at viavisolutions.com/packetpushers.